Gastrointestinal stent placement was introduced at the end of the nineteenth century when it was performed in patients who had a malignant oesophageal obstruction.1 Nowadays, gastrointestinal stents are placed for multiple indications, such as oesophageal stenosis (Figure 1), gastric outlet obstruction (Figure 2) and colonic stenosis (Figure 3). Palliation of dysphagia caused by a malignant tumour is the most common indication for stent placement in the oesophagus. However, benign oesophageal strictures are occasionally also treated by stenting because circular ulceration can result in the formation of additional oesophageal strictures and dysphagia.2 Other oesophageal indications include perforations, fistulas, and anastomotic leaks or strictures that can arise after oesophagectomy or bariatric surgery.3 Stent placement in the distal stomach or duodenum is frequently performed for palliation of malignant gastric outlet obstruction. In Western countries, gastric outlet obstruction is most frequently caused by pancreatic cancer, whereas in Asia it occurs more often in patients who have gastric cancer.4–6 Regarding colonic stent placement, it is important to realize that 8–13% of colorectal cancer patients present with acute intestinal obstruction, which in the past was always treated with emergency surgery.7 As multiple studies demonstrated high mortality and morbidity rates after such emergency surgery, colonic stent placement was introduced as a bridge to elective tumour resection.8–11 Finally, for nonoperable patients who have an ileus caused by colonic cancer, stents are also used for palliation. Although similar-looking stents are used in the oesophagus, distal stomach/duodenum and colon, it should be emphasized that the diseases occurring in these locations are different entities and should be treated in different ways. Here, we discuss frequent mistakes that can be made during gastrointestinal stent placement, based on the literature and the authors’ clinical experience. Figure 1 | Oesophageal stent obstruction. a | Stent obstruction caused by food stasis. b | Stent obstruction caused by distal migration of an oesophageal stent. Images courtesy of Amsterdam UMC, University of Amsterdam. Figure 2 | Duodenal stent placement. a and b | Placement of a stent in the duodenum of a patient with gastric outlet obstruction caused by an irresectable pancreatic cancer. Images courtesy of Amsterdam UMC, University of Amsterdam. Figure 3 | Colonic stent placement. a and b | Placement of a stent in the colon of a patient with an obstructing colonic cancer. Images courtesy of Amsterdam UMC, University of Amsterdam. Chronic diarrhoea, lasting more than 3 or 4 weeks, is a common condition with a wide variety of different possible causes. Estimates suggest 5% of the population have experienced chronic diarrhoea and sought medical advice about it. All gastroenterologists see many patients whose principal complaint is frequent, loose stools, and will be aware of investigations that are needed to diagnose serious conditions such as inflammatory bowel disease (IBD) or colorectal cancer (CRC). Most people who present with chronic diarrhoea will not have these conditions and, if less common disorders are not considered, may be given a diagnosis of diarrhoea-predominant irritable bowel syndrome (IBS-D) or perhaps functional diarrhoea.1 Many different treatments are used for IBS-D and often benefit only a small proportion of patients, leaving many with unmet needs, seeking further investigation, advice and treatment. Guidelines for the investigation of chronic diarrhoea in adults have recently been updated.2 These guidelines provide recommendations for investigating most patients who have chronic diarrhoea, and reflect the now greater availability of simple tests such as faecal calprotectin, coeliac serology, lower gastrointestinal endoscopy and tests for bile acid diarrhoea (BAD). The criteria for functional gastrointestinal disorders were revised in 2016 (Rome IV), with modifications made to the definitions of the various functional bowel disorders (FBD).1 The revised criteria recognise a continuum between functional diarrhoea and IBS-D, and the usefulness of the Bristol stool form scale (BSFS) types 6 and 7 for defining diarrhoea. Approaches to the clinical evaluation of patients are indicated in those articles,1–2 which provide much of the evidence discussed here, backed up by my clinical experience, highlighting certain mistakes that can be made in the management of chronic diarrhoea. Pancreatic cystic neoplasms (PCN) are a frequent and clinically challenging condition. PCN prevalence increases with age and reports estimate that they may be present in 2–45% of the general population1,2. In addition, the biological behaviour of the various types of PCN differs (ranging from benign to malignant [table 1]), requiring different surveillance and therapeutic approaches. Correct management of PCN is, therefore, critical for avoiding progression to cancer, but at the same time avoiding unneeded close and long-term follow-up, unnecessary invasive diagnostic procedures and overtreatment. Mistakes in... booklet 2018 out! Over the past 17 years, the disruptive impact of technologies including small bowel capsule endoscopy (SBCE), device-assisted enteroscopy (DAE) and dedicated cross-sectional imaging has transformed the investigation and management of small bowel pathology. Although a small bowel source only accounts for 5–10% of all cases of gastrointestinal bleeding,1–2 definitive management of small bowel bleeding even in the current era of advanced imaging, can still pose formidable challenges. In this brief article, we highlight frequent mistakes made in the investigation and management of small bowel bleeding and discuss strategies for their avoidance. Most serum bilirubin is formed from the breakdown of the haem contained in senescent red blood cells by the reticuloendothelial system. Thus, unconjugated bilirubin is released in the bloodstream, where it is bound by albumin. Through the blood circulation bilirubin is moved to liver hepatocytes, where it undergoes further processing. In brief, bilirubin becomes conjugated in the hepatocytes through glucuronidation, which allows it to be excreted from the body (unconjugated bilirubin is water insoluble and cannot pass into the urine). Conjugated bilirubin forms one of the main components of bile and most of it passes through the biliary tree to the intestine. Unconjugated and conjugated bilirubin are reported in laboratory measurements as indirect and direct bilirubin, according to their chemical properties (i.e. reaction with reagents).1 Jaundice can be caused by abnormalities in any of the steps comprising the formation, metabolism and excretion of bilirubin. In addition, these processes may be functioning properly, but jaundice can be seen because of an obstruction of the biliary tree at any point, from its intrahepatic origins to its end at the ampulla of Vater. For this reason, it is clear that numerous conditions can result in jaundice. When faced with a patient presenting with jaundice a reasonable and careful diagnostic approach is, therefore, warranted to elucidate the underlying cause of this sign. Conventional wisdom may be that “jaundice by itself never killed anyone,” but it is imperative to find the cause as soon as possible, as prompt intervention saves lives in many cases. Here, we outline several of the mistakes made when approaching a patient presenting with acute jaundice based on our clinical experience and published data. Symptoms related to abnormal motility and function are very common. For patients with mild symptoms, negative tests provide reassurance and simple, symptomatic management might be all that is required (e.g. acid suppression, stool regulation). However, for those with severe symptoms that persist on therapy, ruling out life-threatening disease is not sufficient, and referral to the neurogastroenterology and motility (NGM) laboratory for physiological measurements is often indicated. 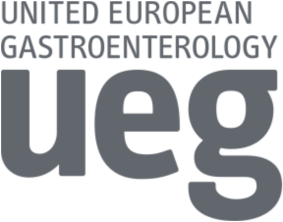 Clinical investigations aim to explain the cause of symptoms and establish a diagnosis that can guide rational treatment. Until recently, it could be argued that manometry, scintigraphy, breath tests and related tests rarely provided this information. As a result, only patients with suspected major motility disorders (e.g. achalasia, severe reflux disease or faecal incontinence) were routinely referred to the NGM laboratory for tests. Technological advances, such as high-resolution manometry (HRM), now provide objective measurements not only of motility, but also of function in terms of the movement (and digestion) of ingested material within the gastrointestinal tract. Furthermore, the ability to associate events (such as bolus retention, reflux or gas production) with symptoms provides an indication of visceral sensitivity and can identify what is causing patient complaints. Here, I discuss frequent mistakes in clinical investigation of gastrointestinal motility and function based on a series of consensus documents published by members of the International Working Group for Disorders of Gastrointestinal Motility and Function. Barrett’s oesophagus is the precursor to oesophageal adenocarcinoma, which carries a poor prognosis,1 and it is likely that all endoscopists and gastroenterologists will encounter Barrett’s oesophagus in their clinical practice. Careful assessment and management of patients who have Barrett’s oesophagus with endoscopic surveillance and endoscopic endotherapy aim to reduce the risk of progression to invasive adenocarcinoma. Advances in endoscopic diagnosis and therapy should, therefore, help to reduce the risk of progression. As with all premalignant conditions and surveillance programmes,2 careful multidisciplinary management of the patient is important to reduce the risk of causing them to become unduly concerned. Here, we present some mistakes that in our experience are commonly made in the endoscopic diagnosis and management of Barrett’s oesophagus and give advice on how to avoid them. Short bowel manifests as high stomal output or diarrhoea, dehydration and malnutrition. Short bowel is a condition that occurs after single or multiple intestinal resections. The incidence of short bowel in Europe is 2 per million of the population1–3 and it carries with it lifelong morbidity and mortality. The initial recognition and management of short bowel in the adult population tends to occur in the postoperative period and in the secondary care setting, where specialist input from clinicians experienced in short bowel is often lacking. Normal small bowel length is 275–850 cm.4–7 It is accepted that when the length of small bowel is reduced to less than 200 cm it may be insufficient to enable adequate absorption of fluids and micronutrients. The symptoms of short bowel (often referred to in the literature as short bowel syndrome) are secondary to a reduction in intestinal surface area together with an increased motility of the remaining section of small bowel, with accompanying increased secretion into the lumen. These intestinal secretions vary in their electrolyte content and osmolality depending on the anatomical location, with the highest chloride and potassium loss from gastric secretions and high sodium loss from jejunal secretions.8 Clinically, short bowel manifests itself as a high stomal output or diarrhoea, dehydration and malnutrition. High stomal output or diarrhoea do not, however, necessarily equate immediately to short bowel; conversely, a small bowel longer than 200cm may be insufficient if it is diseased. Here, we discuss some of the pitfalls that are encountered in the recognition and management of short bowel and have suggested an algorithm for assessing and managing patients with a high stomal output. Although some of these pitfalls may appear obvious, they are addressed here because they are commonly encountered in clinical practice (summarised in table 1 at the end of the article). This article discusses mistakes commonly made when identifying, diagnosing and managing children whom are suspected or confirmed to have IBD. The mistakes and discussion are based on published evidence where possible, plus our clinical experience of looking after children with IBD. Tissue sampling is the most common manoeuvre performed during endoscopic procedures and histological examination is part of almost every digestive disease investigation. The potential for mistakes is, therefore, widespread and knowledge of the adequacy of the indications and techniques used for tissue sampling during endoscopy, as well as the potential consequences, is indispensable for every gastroenterologist. As such, there are some questions that should always be posed before taking a biopsy sample or tissue acquisition during endoscopy: Why? What for? How? How many? (figure 1). This manuscript has been organized with these questions in mind. We’ve aggregated examples for the eight most frequent and most correctable mistakes made during tissue acquisition by endoscopy. In addition, most of the recommendations made in this article are supported by existing guidelines and evidence, with a few based solely on the authors’ experience. 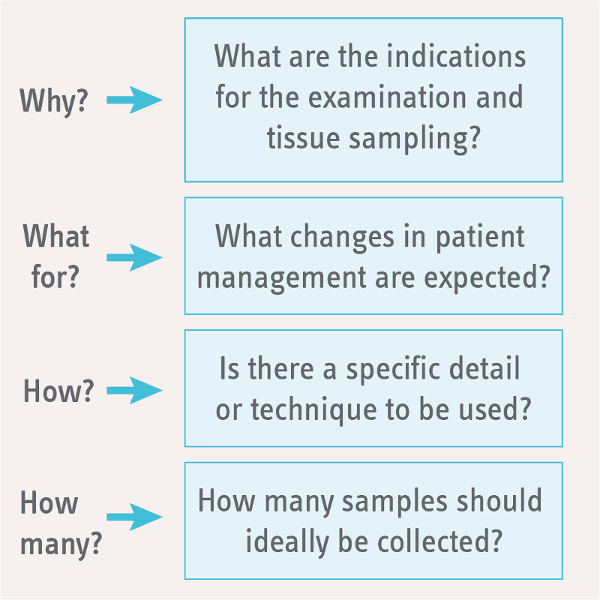 Figure 1 | Questions that should always be asked before a biopsy sample is taken or tissue acquired during endoscopy. Careful practice can overcome declining eradication rates for H. pylori treatment. In recent years, however, eradication rates for H. pylori treatment have been falling, which has led to a large number of patients in the community having inadequately managed infections. Most of the problems that have led to the decline in the success of eradication treatment can be easily overcome through careful practice, supported by the robust framework provided by international guidelines. Careful practice includes the correct management of dyspepsia, the appropriate use of diagnostic tests for H. pylori, acceptable, efficacious treatments that enable good patient compliance and adequate follow up to insure eradication has been achieved in all cases. Here, we discuss the mistakes that are made when managing patients infected with H. pylori. Most of the discussion is evidence based, but where evidence is lacking the discussion is based on the authors’ clinical experience of more than 30 years in the field. The subtleties and challenges of contemporary IBD management. The prevalence of inflammatory bowel disease (IBD) is ~0.5%–1% and rising.1 In many healthcare systems, the frequency of IBD is too rare for it to be managed solely by primary care practitioners, but still common enough to fall within the caseload of general gastroenterologists. Whilst the disease may run a relatively quiescent course, some patients face years of severe, disabling symptoms. The relatively unpredictable prognosis of IBD, combined with the ability of its extraintestinal manifestations to impact multiple organ systems, requires a nimble and individual approach to patient management. Indeed, the treating clinician must liaise closely with colleagues in other disciplines, including nursing, surgery, radiology, histopathology and numerous other medical specialties. Advances in our understanding of IBD pathogenesis and in diagnostic modalities, therapeutic options and surgical techniques for Crohn’s disease and ulcerative colitis have fundamentally altered the landscape of IBD management in the past two decades. The challenge for physicians treating IBD is to leverage these changes to improve patient outcomes, avoiding the many potential pitfalls. Here, we discuss some of the pitfalls that may await the treating clinican, drawing upon evidence when possible and on our clinical experience. If some of these pitfalls seem contradictory, this is deliberately so, to highlight the subtleties and challenges of contemporary IBD management. Many of the pitfalls may also seem somewhat obvious when taken in isolation, and yet we believe them to be relatively common, raising important questions around how we can configure and manage our services to avoid those problems that we all still encounter in practice. Evaluating and managing GI cases on call is a difficult task. It is a difficult task and a great responsibility to evaluate and manage patients with acute - and potentially life-threatening - clinical presentations. It is even more complex to achieve high standards of care for cases on call. Indeed, on-call gastroenterologists, hepatologists and endoscopists are faced with a wide and protean range of gastrointestinal, liver and pancreatic emergencies. The decision-making process for cases on call is mainly based on information received over the phone, on medical knowledge and clinical experience, and on the resources available. As the degree of confidence in any information given on call may vary, it is of tremendous importance to note, and to document, with precise timing, what has been communicated by, proposed to, and eventually decided with, multiple caregivers (i.e. nurses, emergency physicians, intensive care physicians, surgeons, radiologists etc.) Here, we discuss 10 mistakes that are often seen when managing GI cases on call. Most of the proposals are based on medical evidence, but others are formed from our own clinical experience. Endoscopic resection is an advanced technique used to remove superficial lesions. Endoscopic resection is a widespread, advanced endoscopic technique that can be used to remove superficial lesions in the gastrointestinal tract. Lesions present in all parts of the gastrointestinal tract, such as the oesophagus, stomach, duodenum, small intestine and, above all, colon, can be removed by endoscopic resection. Lesion detection and characterization, the use of appropriate resection devices and methods, and the management of malignant polyps are all important parts of a multistep process that requires training, experience, expertise and a multidisciplinary approach. The diagnostic and therapeutic mistakes discussed here are based on our endoscopic experience. We present the most important mistakes that are often seen in endoscopic resection in our practice and have major consequences for the patient. We propose, from our experience, a simple approach to avoid these mistakes. According to the Montreal definition, “[gastro-oesophageal reflux disease (GORD)] is a condition which develops when the reflux of stomach contents causes troublesome symptoms and/or complications.”1 GORD has a negative effect on quality of life and is frequently encountered in clinical practice, with an estimated prevalence of around 24% in Europe.2 In the US, GORD-related healthcare costs account for $9 billion per year.3 A variety of symptoms are associated with GORD—heartburn and regurgitation are typical symptoms, while chest pain, cough and sore throat are considered atypical symptoms—but none is pathognomonic. In case of a typical presentation of GORD in a young patient, and in the absence of alarm signs (e.g. bleeding, dysphagia, weight loss), it is common practice to treat the GORD without investigation. In other cases, upper gastrointestinal endoscopy is usually the first-line examination, more to rule out mucosal complications than to make a positive diagnosis of GORD. Although the presence of erosive oesophagitis is specific to GORD, most patients in whom GORD is suspected based on their clinical presentation have normal endoscopy findings. In this situation, ambulatory reflux monitoring (either pH or pH-impedance monitoring) may be required to identify reflux episodes, to link them with symptom occurrence and then to confirm the clinical diagnosis of GORD. Another common clinical presentation is a patient with symptoms suggestive of GORD that persist despite proton pump inhibitor (PPI) therapy. Indeed 20–60% of patients with GORD-suggestive symptoms are not satisfied with PPI therapy.4,5 After evaluating a patient’s compliance with their treatment, complementary examinations are indicated to determine if resistance to treatment is secondary to persistent GORD, to reflux hypersensitivity or to an erroneous diagnosis of GORD. Here, we report 10 conditions that clinicians should be aware of to avoid making an erroneous diagnosis of GORD. The discussion draws on a combination of published data and clinical experience.